In these days of increasing apostasy as to the Person of Christ, it is indeed refreshing to read the solid testimony of one who contended for the faith almost two centuries ago. Early in the nineteenth century, Unitarianism appeared and became very articulate in the religious writings of New England leaders. 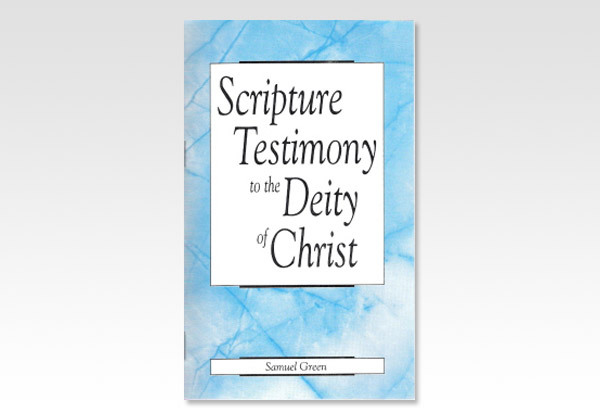 God raised up an able champion against them in the person of Samuel Green (1792  1834), who wrote a most able defense of the truth of the deity of Christ.